As part of an ongoing effort to highlight the voices of Americans affected by the partial shutdown, House Majority Leader Steny Hoyer launched a website on Jan. 14 that allows the public to share their opinions about the shutdown with their elected representatives. “This new website will allow those who are impacted by the Trump shutdown to share their story with the public, and it will ensure those stories are shared with Members of Congress,” said Leader Hoyer in a statement. Hoyer expressed his commitment to passing legislation to reopen the government and bringing the stories of affected individuals to lawmakers. Although the name does not reflect this, any American who supports either side can make their voice heard on the website, TrumpShutdownStories.us. And some already have expressed their support and opposition for current House bills to reopen the government. 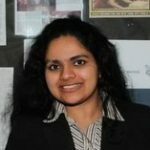 The website uses PopVox.com, a popular non-partisan platform for community engagement and information dissemination, to send stories that people submit as emails to their individual Congressional representative and their two senators. 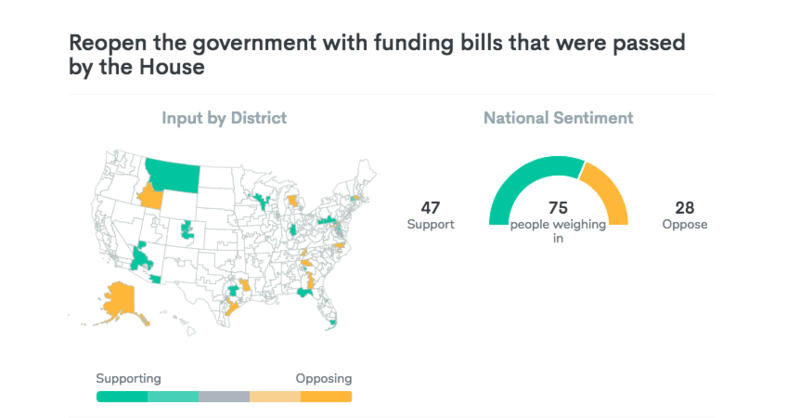 Americans can also weigh in on whether or not they support funding bills passed by the House to reopen the government and end the shutdown, and PopVox displays a publicly visible tally of the results or real-time national sentiment. The platform is known for ensuring the authenticity of the users who post opinions and weigh in on the tally. ­­As of Jan. 15, less than 100 people had used the site to contribute their input, either by chiming in on the poll or by sharing their story with the public. With the shutdown on its 23rd day, more people supported reopening the government than keeping it closed.